Exhibition is a battlefield. It is a battlefield where companies battle for ATTENTION -the visitors’ attention. This war mentality will help any company joining the event to be prepared. As the saying goes, planning is half the battle won. Now, how do you win the battle? In my experience there are 5 Collaterals that you must have and that you cannot win the battle without it. Flyers and brochures are very important. This is where visitors read information about your company offerings. This maybe simplistic but I have seen a lot of companies neglect this basic collateral. Yes, you know the answer - lost of selling opportunities. 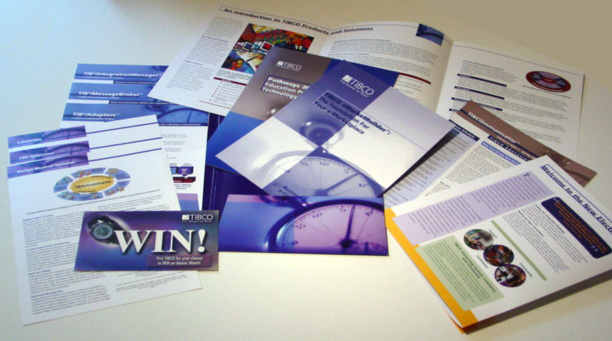 Therefore, never forget to design an attractive brochure or flyers. It can convert sales in exhibitions. There is a study that in food expo those exhibitors that give free tasting get to sell more as compared to those that do not. In car expo, those that provide test drives get to convert sales. In other products the same hold true that clients/visitors who are given a chance to sample or experience the products and services get more opportunities to maximize their investments in exhibitions. You may call this experiential marketing, and yes, definitely, everybody crave to experience something before they purchase it. Everybody loves free and it is a magnet that never fails to attract a lot of visitors. So never forget to offer free giveaways. It does not matter if it is not expensive. The most important thing is your visitors get something free. Call this building Goodwill to future and new clients. A mortal sin that is often repeated by those manning your booth is that they forget to bring their calling cards. Again, this is business and exhibition is about building trust and relationships – calling cards cover this ground for you on the initial stage of building trust and relationships. If you do not have calling cards you lose the chance to be remembered by your future clients. You ask me why? Of course, there are other booths and exhibitors out there who is better prepared than you, that is with calling cards; and even if they did not make any impression they might still have the edge when potential buyers return to their office and start recollecting what took place in the event. Exhibition and events engagement does not automatically convert to sales. If this is the case you need to get back at those visitors who qualified as your target market. A lead information sheet is vital to take down all necessary information about the buyers and visitors you talk with. Making a follow-up is one of the sales processes that will only be successful if you have taken all the important information of those that you intend to follow-up. Lead generation is only successful if you have properly documented those that expressed their interests on your products and services. This is the 5 collaterals that you cannot be successful without and this is a guarantee, so take heed and enjoy your exhibition marketing.